Crew-Chuck Van Buskirk, Tom Campbell, Peter de Villers and myself, with Shelby Barras driving, all members of the South Florida Spearfishing Club www.spearfishing.org . Having Shelby drive the boat allowed the four of us to drift dive at the same time, making for a shorter day. With the pending cool front expected to arrive later in the afternoon, we had a short window of opportunity to dive. Luckily for us, the conditions under the water have been very good. While 73-degree water temperature might seem refreshing for most of the world, it’s typically the coolest water temperature for our winter diving. Our “winter” is our dry season, bringing less humidity and cool fronts coming from the northwest. These winds cause flat conditions close to shore and with less rain there’s also cleaner ocean water, creating awesome visibility. Peter and I dove together in the 70-80-foot range, located on the east side of the third reef. These are small islands ranging from two-to-five feet high with some being up to 50-feet around. There’s not a consistent edge, but you can drift easily from island to island with just some patches of sand in between. The fun part of this dive was finding clusters of spiny lobster in some of the small crevasses. We would find upwards of ten lobsters congregating together, but most of them were too small, so we picked out the biggest ones to put in our lobster bags. 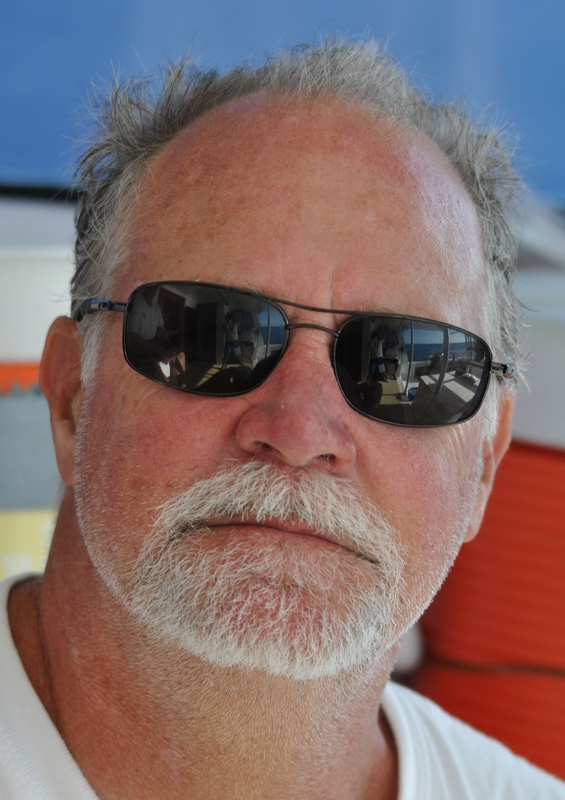 Chuck and Tom did a parallel dive, west of us, on top of the third reef in 50-feet of water. This area has the west-facing walls with a lot of marine life including schools of snapper and grunts. They were also able to find lobsters, however, they found them only one or two at a time. 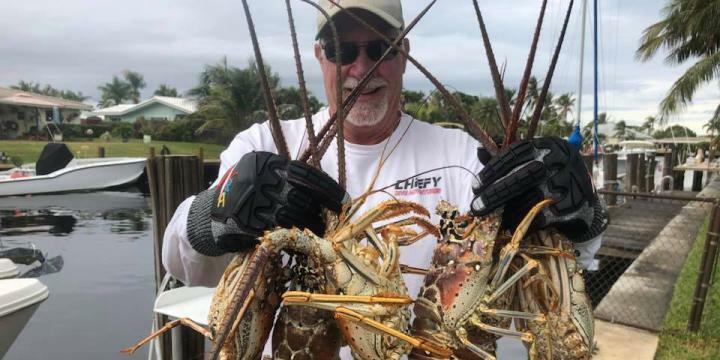 Overall, we were almost able to catch our limit of lobsters, making a great day of diving in the Greater Fort Lauderdale area, even with these harsh “winter” conditions.